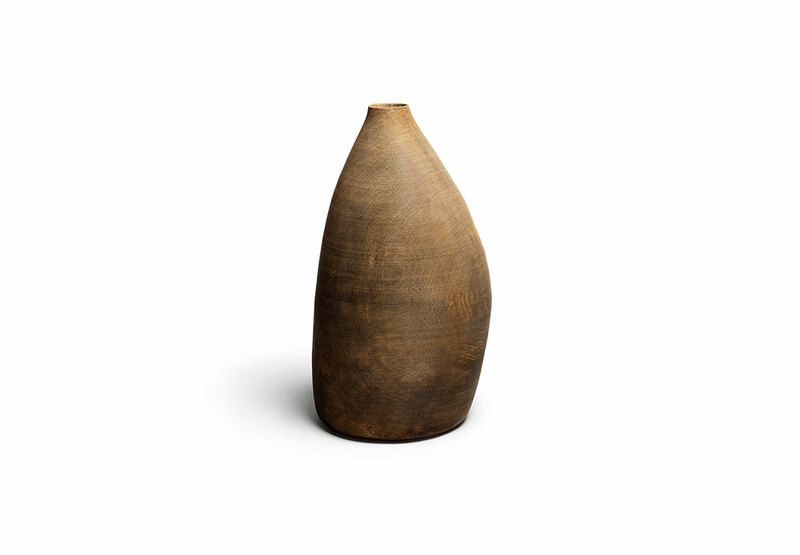 If there’s a discernible sense of antiquity in the sculptural vessels in Ernst Gamperl, that’s probably owing from the fact that they were hewn from the trunk of a 300-year-old oak tree felled in a storm seven years ago. And yet, they’re entirely of the present moment. 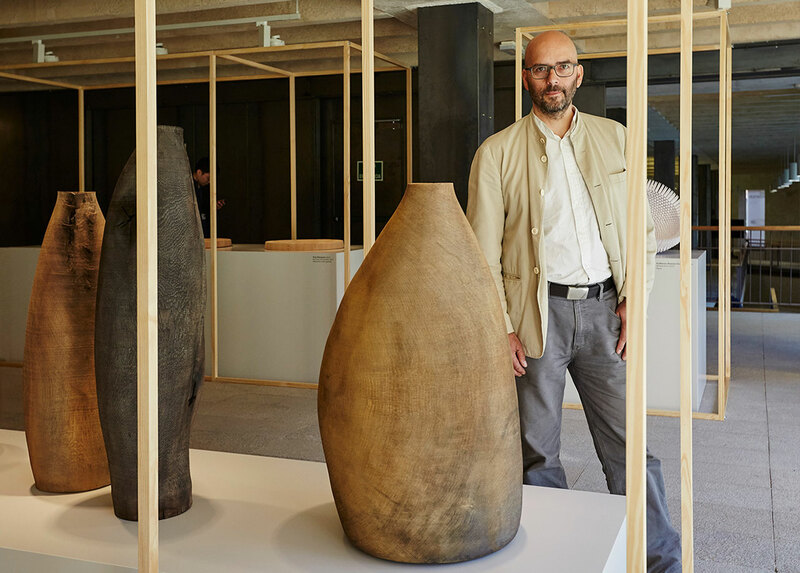 The carved and clay-treated hollowed oak vessels belonging to the Munich-born artist this week earned him the inaugural Loewe Craft Prize, awarded in a ceremony at COAM, the Official College of Architects in Madrid. Praised for their contemporaneity of thought – namely the inventive use of recycled materials – embedded into each vessel is the spirit something entirely new, each object borrowing its form and imperfections from the line of the original tree, while carvings of parallel grooves evince the artist’s hand at work. Conceived by Loewe’s Creative Director, Jonathan Anderson, as a celebration of the house’s artisanal heritage and modernity, the inaugural Craft Prize came with a $70,300 prize presented to Glamperl by the iconic English actress Charlotte Rampling – another one of Anderson’s obsessions, albeit one that’s slightly less esoteric than his well-documented fixation on collecting craft from around the world. The 26 finalists in the prize were selected earlier this year by a panel of experts from a coterie of 4,000 submissions by artisans from over 75 countries (the only stipulation was that entrants be over 18-years-old). From there, a jury that included Anderson, W Magazine Editor-in-Chief Stefano Tonchi, and Gijs Bakker, co-founded of Droog Design, selected the winner on the merits of its technical accomplishment, innovation and artistic vision. All of the finalists’ works are currently being exhibited at the Colegio de Arquitectos de Madrid until May 10, after which time they will show at New York’s Chamber Gallery from May 31 until June 7. The exhibition will then travel to Tokyo in November 2017.